I’ve fleshed out the synopses of Frost Moon and Blood Rock at the Books page. Hopefully this will give more context than just the excerpts. Enjoy! 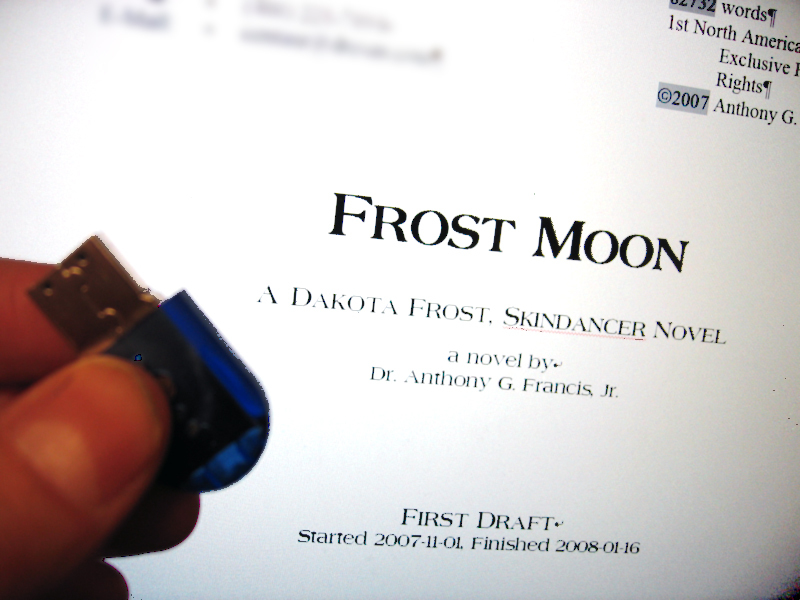 Pictured: the first draft of Frost Moon, moments after I finished it and copied it to a USB key for safekeeping.